2 Bedroom Terraced House For Sale in Preston for Asking Price £130,000. 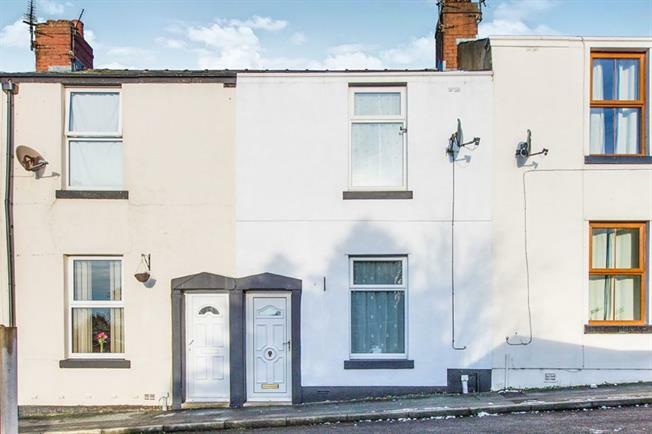 We are pleased to offer for sale this two bedroom mid terrace property offering accommodation ideal for a first time buyer or investment opportunity. The property briefly comprises of a welcoming entrance straight into the bright and spacious lounge. Adjoining this is a modern fitted kitchen with staircase leading to the first floor, followed by a utility and ground floor shower room. Upstairs, there are two double bedrooms. Externally, the property has a rear yard whilst out to the front there is off road parking and a detached garage. View to appreciate.. Double glazed uPVC window facing the rear. Laminate flooring, tiled splashbacks. Roll top work surface, fitted wall and base units, stainless steel single sink with drainer, space for oven, space for washing machine. UPVC double glazed door, opening onto the yard. Space for fridge/freezer. Double glazed uPVC window facing the side. Tiled flooring, tiled walls. Low level WC, corner shower, pedestal sink. Double glazed uPVC window facing the front. Laminate flooring.